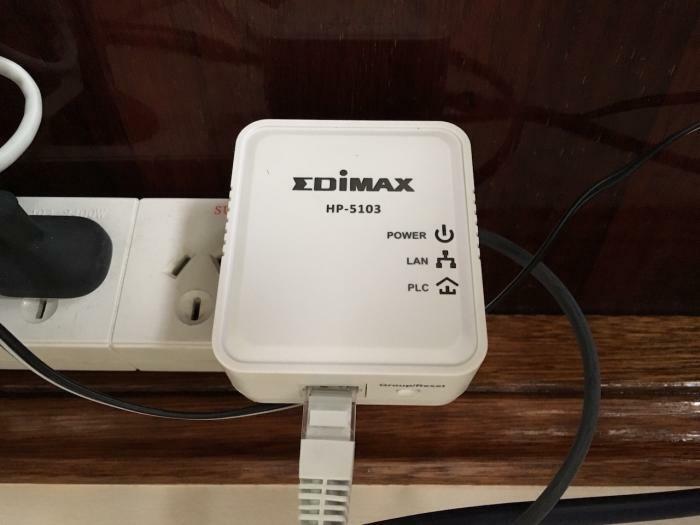 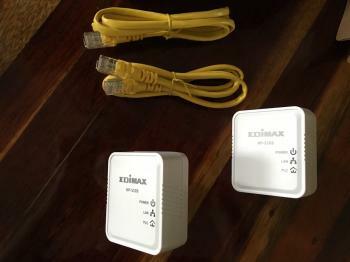 I've recently installed the Edimax HP-5103K AV500 Mini Powerline Adapter Starter Kit at my parents' place to connect their Bravia TV to the ADSL router in another room and I was quite happy with how easy it was to set the whole thing up. 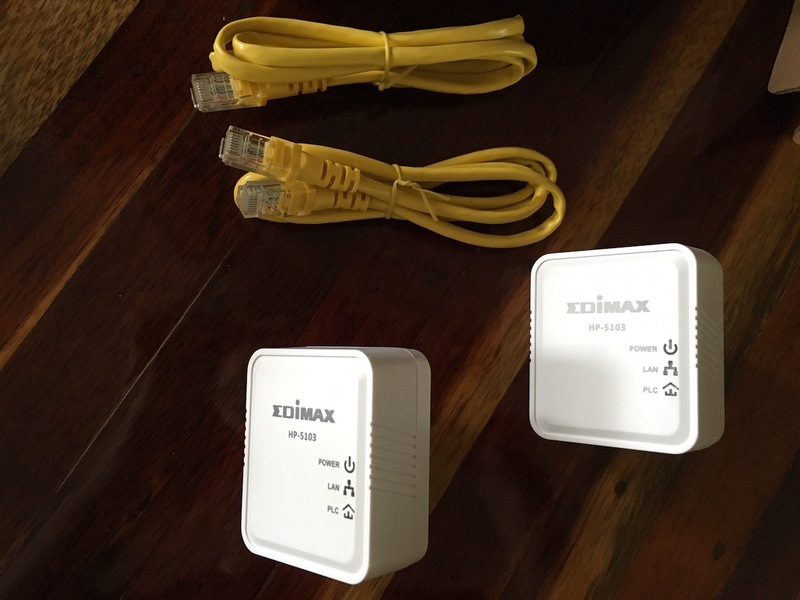 The kit comes with everything you need to get started: two powerline network adapters, two network cables and some instructions. 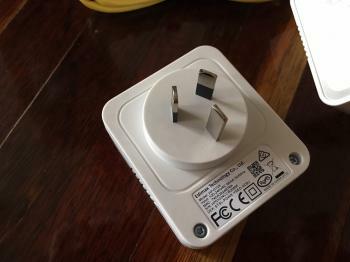 Even though the box had what appeared to be a European style plug, since I bought it in Australia it came with Australian plugs. 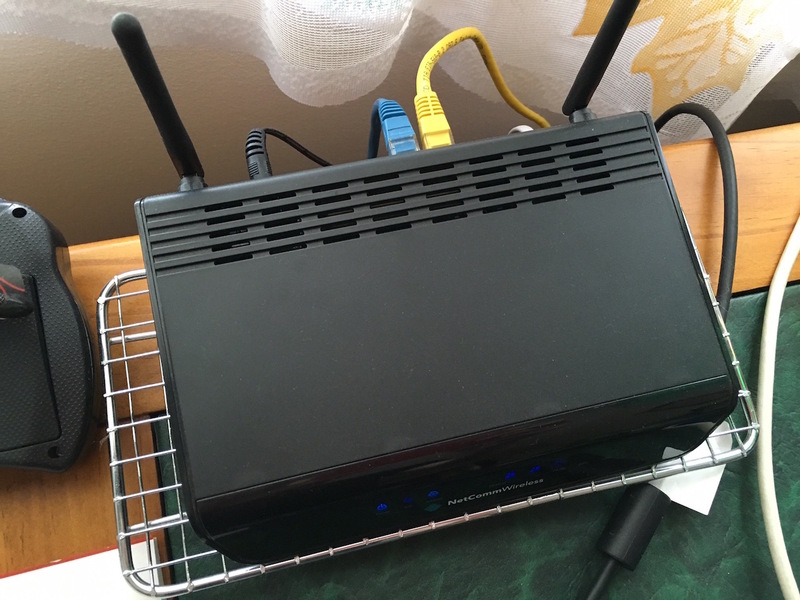 I set the first device up at the router end. 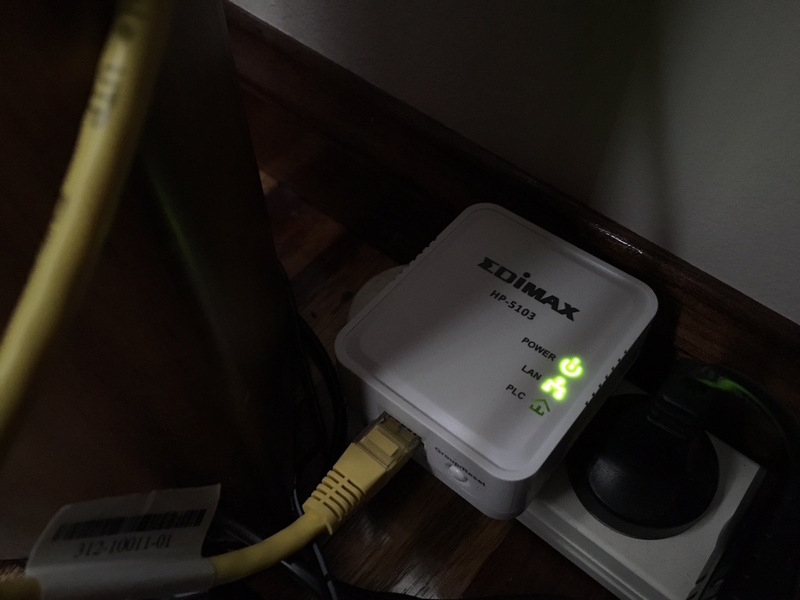 Once plugged in it powered up and showed that it had a LAN connection. 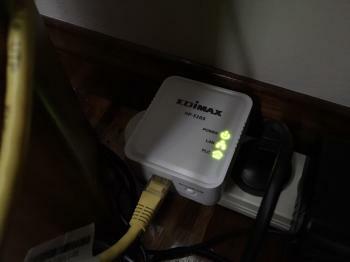 The PLC light was still off at this point meaning it's not detected the second powerline device. 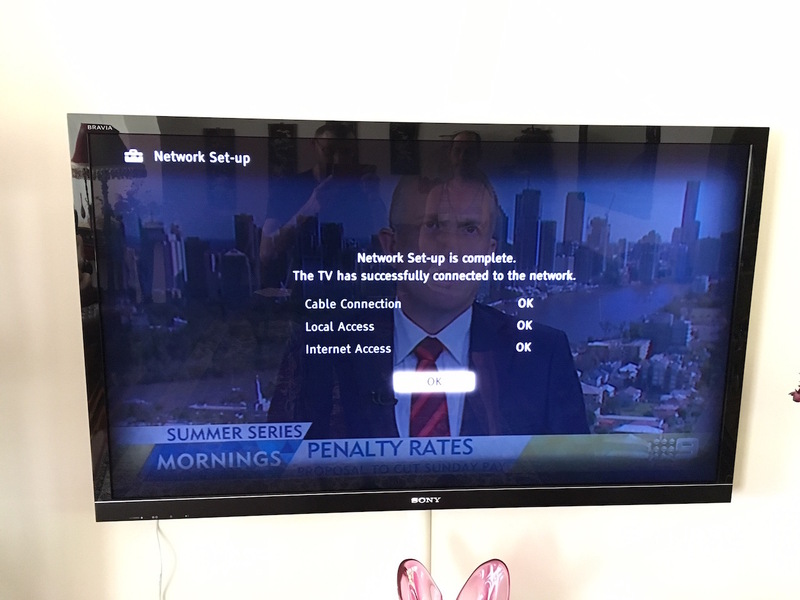 After plugging in the second device at the TV end, the PLC light switched on and the TV was able to get a connection very quickly! When I connected these, I didn't use the yellow cross-over cable on both ends. The router end used the yellow cable but the TV end used a standard network cable. This seems to work just fine. A nice feature of these devices is they go into sleep mode if there is no activity, so that saves some money on energy bills. 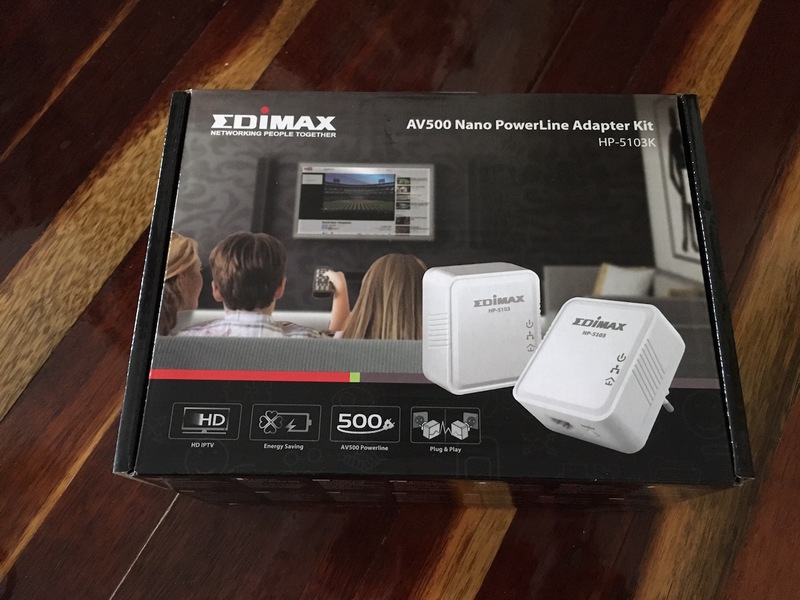 I've not had time to run any speed tests on these but given how easy it was to set up I may be getting some for my own apartment soon and that's when I will run some more tests to see how well these actually perform.